Ahead of our continuing competence roadshow, Gary Yantin, VinciWorks’ director of Best Practice, checked in with leading stakeholders to discuss how law firms are finding the transition from 16-hours CPD to continuing competence. He spoke to Richard Williams, SRA’s policy lead, as well as some early-adopter firms. Here are five key findings. Awareness of the new regime is improving but there is still confusion amongst some firms about what continuing competence means and what the SRA are looking for in terms of demonstrating that solicitors have achieved it. The SRA has made clear that there is no rule for whether there will be more or less learning under the new system. The amount of learning undertaken depends on a range of factors including seniority and area of practice. From VinciWorks conversations with firms another factor will be the firm’s’ own attitude to learning. For most of the firms we spoke to there is a common view that erring on the side of doing more learning can do no harm. The SRA were keen to point out, as they have repeatedly, that for many solicitors it will be possible to be competent with far less than 16 hours. However we hear that many firms will be sticking with 16 hours even after they adopt the new approach. Some are imposing an alternative number of hours, be it 4 to tie in with the former accredited amount of CPD or a higher figure on the basis that the more learning a solicitor does the better. 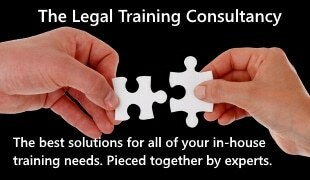 What to learn is going to be an area that solicitors and their firms are likely to struggle with in the early years of competency. While the SRA are keen to point out that watching YouTube or listening to podcasts are adequate forms of learning, the firms we have spoken to appear to be sticking with tradition for now. Classroom and online modular learning being the favoured mediums. With the removal of accredited training suppliers, we wanted to know if there was a concern about a decline in quality. The SRA have no such concern. It is up to the market to create good quality learning without being restricted by having to achieve and maintain SRA approval. The SRA maintains that the market will do a far better job of establishing learning leaders than the SRA could. With this level of freedom from suppliers and for solicitors, alternative methods of learning are likely to emerge. Most firms will be watching their peers and competitors in the early years for guidance on what works.